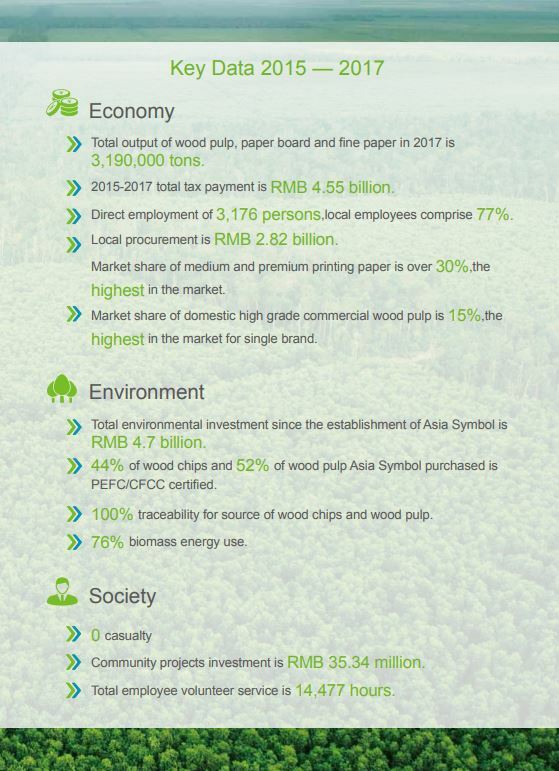 Asia Symbol, a leading pulp & paper producer in China, has released its third sustainability report, covering the years 2015 to 2017. The report highlights milestones and achievements in the company’s continuing sustainability journey, including its continued investment in upgrading its state-of-the-art mill facilities as well as deepening its ties with surrounding communities. With operations in the provinces of Shandong and Guangdong in China, the company has an annual production capacity of 3 million tons of pulp, paperboard and fine paper. Asia Symbol’s mill in the city of Rizhao, Shandong is the world’s largest single pulp production line. 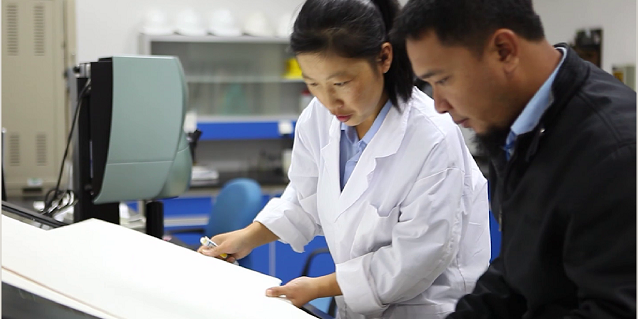 Guided by the company’s vision to improve lives by developing resources responsibly, Asia Symbol overcame many challenges including a sluggish market, supply side reforms, and a severe drought affecting one of its areas of operations. In response to the 2015 drought, the company’s mill in Rizhao, Shandong province actively responded by adopting various measures to reduce water consumption. These include limiting production, staggering water use, and re-allocating resources. While this had some impact on operations, these water saving measures helped minimise the negative impact of the drought on Rizhao and its residents. The company also invested time and effort to visit communities and understand their various needs. This allowed the company to design community development projects based on communities’ feedback. Communities who requested for help in enhancing the management and competitiveness of local SMEs were given workshops and seminars. The company also sponsored sports events such as football, basketball and table tennis, as well as cultural activities such as poetry reading to communities that requested them. 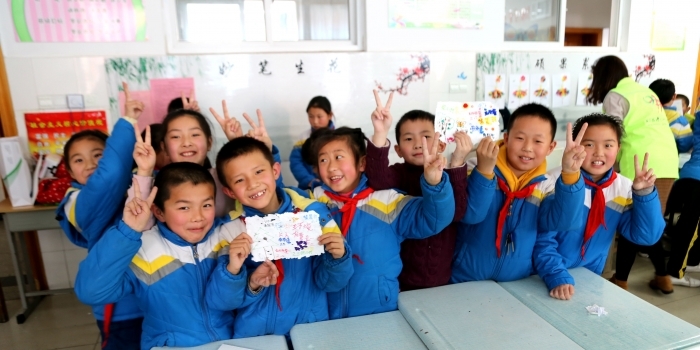 Kids from various schools also enjoyed paper-making sessions where they were taught how to make paper from scratch. 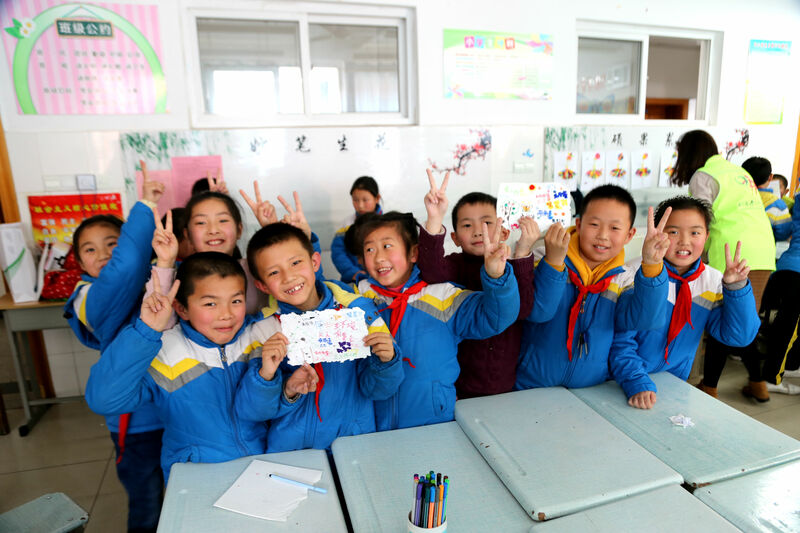 Overall, the company has invested over USD 5.14 million (RMB 35.34 million) on various community development projects. In the report, Asia Symbol Chairman Lee Jianshao shared that apart from more stringent standards in the industry, there will be increased expectations from external stakeholders including NGOs and communities. 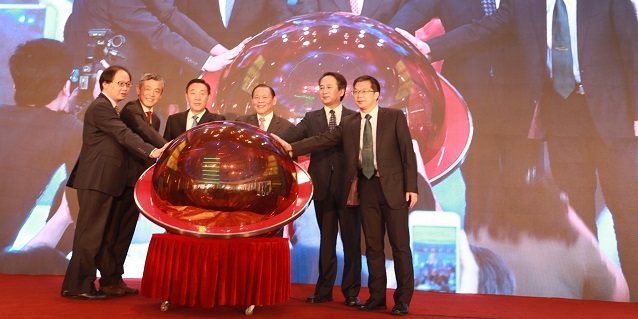 “Despite these challenges, we will keep our focus on the company’s purpose and vision. We remain committed to continuous improvement to enhance value creation, environmental protection and care for the people,” he said.